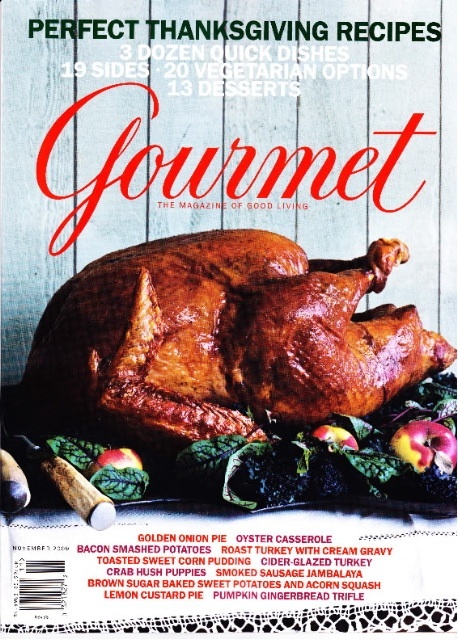 It was almost the Thanksgiving of 2009 when I heard the astounding news that Conde Nast planned to eliminate the publication of Gourmet Magazine. I was shocked. A snap of corporate fingers and it’s gone? Please, Conde Nast, put Gourmet on the endangered list before sentencing it to final extinction. I have so many memories. The first recipe I tried, from the April 1964 issue, was “Dill Bread Hoffman”. That recipe brought a raging battle to the “Letters” page a few months after the recipe was published. “How dare those Hoffmans steal my recipe and then name it after themselves? I submitted that recipe first.” The pride in family recipes was very serious to the original Dill Bread bakers. Their published temper tantrum added a County Fair quality to the magazine. Gourmet had featured recipes from China the month before and I couldn’t wait to try them, Thanksgiving or not. Every month when my Gourmet Magazine was delivered I enjoyed a reprieve from humdrum ordinary to the new and exotic. It connected me with famous, sophisticated chefs divulging coveted recipes. And the magazine was responsive to their subscribers. Once I wrote to the editors asking if they could get a recipe from Sante Ristorante, a restaurant we discovered on vacation in La Jolla, California. Several months later the mail arrived containing the recipe for “Papardelle with Fennel Sauce” from Sante Ristorante. I was thrilled. How kind the editors were to research and respond to me! But now Gourmet was being forced out of my life forever. Is it possible to mourn a publication? I felt the need for comfort, a way to connect with a past Gourmet experience. I found Sante Ristorante’s business card and dialed their number. Rather than a greeting from the restaurant I heard a computerized voice announcing that the number had been permanently disconnected. They’re gone too. As I sorrowfully looked through the last issue ever to be published, November 2009, “A Day That Will Live in Culinary Infamy,” those annoying little postcards offering new subscriptions kept falling out from between the pages. They were annoying before but now they were infuriating. “I’ll show Conde Nast what I think of their company’s policy!” Searching through all the Gourmet Magazines stored on my kitchen shelves, I gathered every single postcard and mailed them back to Conde Nast. They’d have to pay postage for all of those cards. I’ll get even with them: I’ll show them what they get for destroying my favorite magazine. 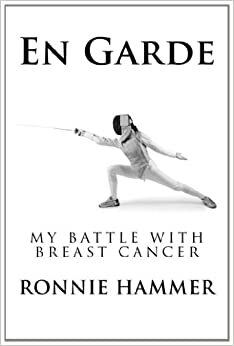 I hope the postage due on all those postcards causes them to declare Chapter 11. Now I sit and wonder what Julia Child would do if she were still around?